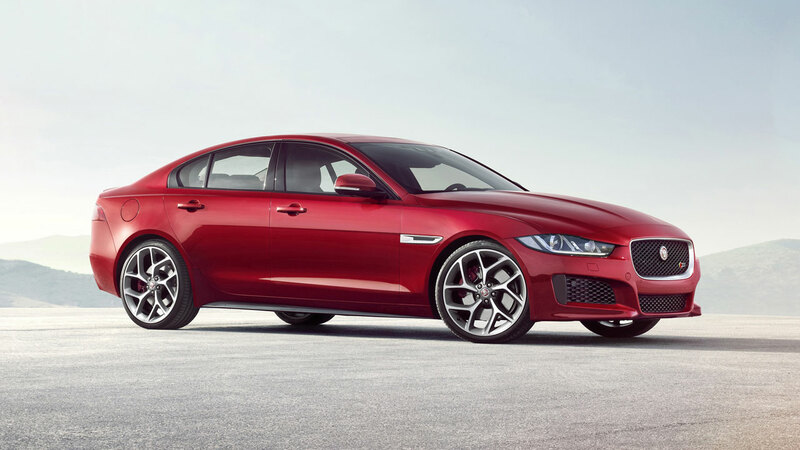 The Jaguar XE has been revealed to the world during a star-studded event held at Earls Court, London. 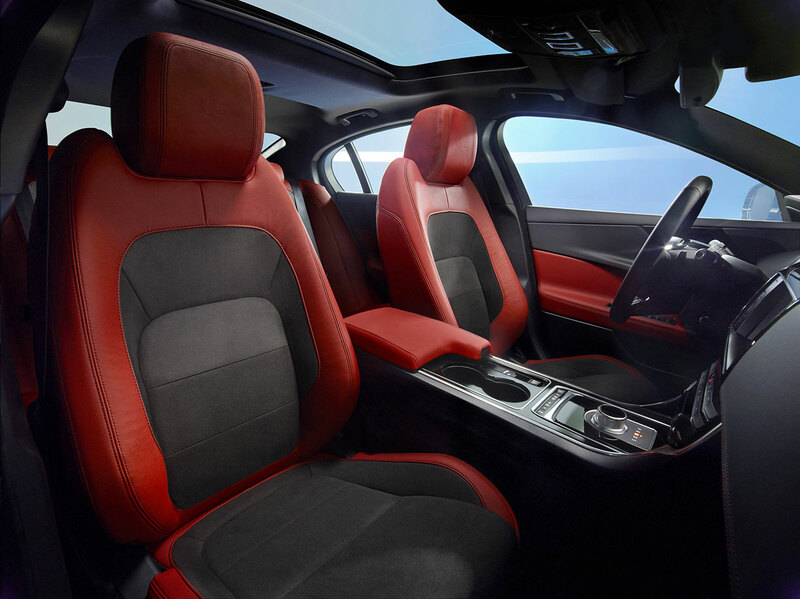 A true driver’s car, the rear-drive Jaguar XE redefines the concept of the sports saloon thanks to its advanced lightweight construction, streamlined styling, luxurious interior, and outstanding ride and handling. The XE goes on sale in 2015, with the high-performance S model at the top of the range. The XE S rewards drivers with the responsiveness and refinement of its supercharged 3.0-litre V6. Generating 340PS and 450Nm of torque, this high-revving engine is linked to an eight-speed automatic transmission with paddle shift controls, giving the driver immediate access to the vehicle’s incredible reserves of power. Accelerating to 0-60mph in just 4.9 seconds, the XE S has an electronically-limited maximum speed of 155mph. 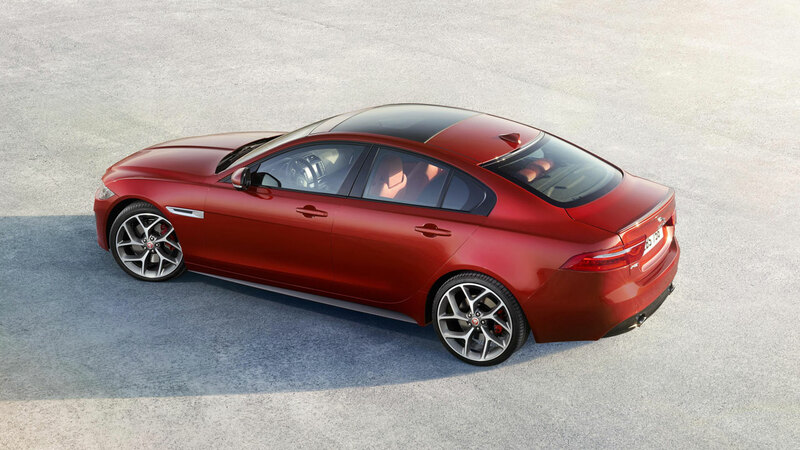 The aluminium-intensive Jaguar XE is the first model developed from Jaguar Land Rover’s new modular vehicle architecture and will set the standard for driving dynamics in the midsize segment. The long wheelbase and low seating position enable perfect proportions and a streamlined, coupe-like profile. The S model’s large front air intakes, chrome side vents, discreet rear spoiler and optional 20-inch forged alloy wheels hint at the performance potential of Jaguar’s supercharged 3.0-litre V6 petrol engine. The cabin offers outstanding levels of comfort and spaciousness. Exquisite materials and finishes, combined with traditional Jaguar craftsmanship make this an interior like nothing else in the class. The XE S will be joined by other models powered by highly efficient 2.0-litre, four-cylinder petrol and diesel engines matched to smooth-shifting six-speed manual and eight-speed automatic transmissions. The diesels – part of Jaguar’s all-new Ingenium engine family – provide exemplary fuel consumption and CO2 emissions from 75mpg and 99g/km. The XE is also the lightest, stiffest and most aerodynamic Jaguar saloon ever built. It is also the first Jaguar to be equipped with electric power steering, tuned to provide exceptional responsiveness and feel but with lower energy consumption than hydraulic systems. The XE boasts the lowest cost of ownership of any Jaguar and is also the most environmentally sustainable. The aluminium-intensive Jaguar XE is manufactured at Jaguar Land Rover’s Solihull plant in an all-new purpose-built facility. Part of a £1.5bn investment, this highly flexible, state-of-the-art manufacturing site will create 1,700 UK jobs. The XE now completes the Jaguar saloon car range sitting below the XF and XJ models. Full details of the entire XE range will be announced at the Paris Motorshow in October. The strongly-sculpted bonnet creates a taut, muscular appearance. The rising waistline adds to the sense of movement, while the form of the rear quarters takes inspiration from the F-TYPE Coupé. The signature J-Blade running lights are another instantly recognisable Jaguar design element. In the rear lights, a horizontal line intersecting a roundel is a powerful styling feature inherited from the iconic E-type. Jaguar has a rich history of producing stunning, aerodynamically-efficient cars. The new XE continues the tradition of uncompromised form and function: its streamlined shape has the lowest drag coefficient of any Jaguar yet – just 0.26. This achievement is the result of 1,200 computational fluid dynamics simulations and more than eight million hours of processor time. Expectations created by the XE’s exterior styling are more than met once inside. The spacious cabin cocoons front seat passengers with a deep centre console which creates a cockpit-like feel. The F-TYPE-style dials and the cluster needle sweep on start-up further emphasise the XE’s sports saloon attributes. 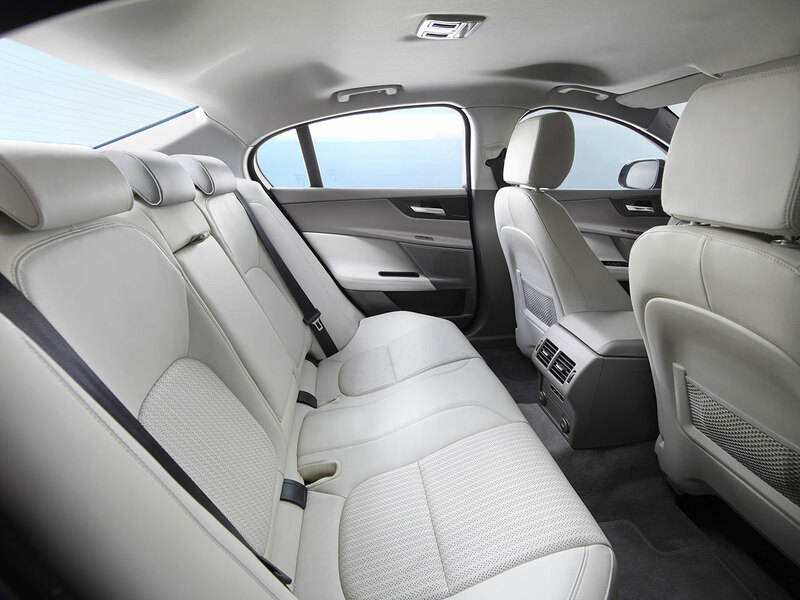 Front and rear seat occupants enjoy generous amounts of head and legroom – the XE proves that sleek, streamlined styling and interior space need not be mutually exclusive. Technical fabrics, fine-grain leathers and details such as contrasting twin-needle stitching give the cabin a bespoke quality. The choice of gloss black, textured aluminium, and contemporary wood veneers enhance the luxurious, hand-crafted feel. Ambient lighting in a range of up to 10 colours adds to the sense of occasion. Jaguar is more experienced in the use of aluminium construction than any other vehicle manufacturer. The unrivalled expertise in working with this lightweight material has culminated in the revolutionary body structure of the new XE. It is the first model designed around Jaguar’s all-new modular architecture and is the only car in the class to use an aluminium-intensive monocoque. Much of the aluminium is high-strength, 6000-series alloy. The bodysides are a perfect example: these complex pressings are formed in one piece, and what would once have been 1.5mm gauge sheet has been reduced to just 1.1mm – with no loss of stiffness. The new XE has been engineered to meet the most stringent legislative and consumer crash test requirements worldwide, including US and Euro NCAP. The deployable aluminium bonnet ensures high levels of pedestrian impact protection. Sustainability is a big part of Jaguar’s aluminium story. Recycling this highly valuable material delivers impressive savings in overall CO2 emissions and the new XE is the first car in the world to use RC 5754 – an aluminium alloy made predominantly from recycled material. Future models will also use RC 5754 and this breakthrough will help Jaguar towards its goal of using 75 per cent recycled material by 2020. The new XE has the most sophisticated chassis of any vehicle in its class and will set the benchmarks for ride and handling: it is a true driver’s car. Where most competitors use MacPherson strut front suspension, Jaguar’s vehicle dynamics team insisted on the superior double wishbone configuration. The aluminium front knuckles are as light as they are stiff and are forged from cast blanks using a patented production process. 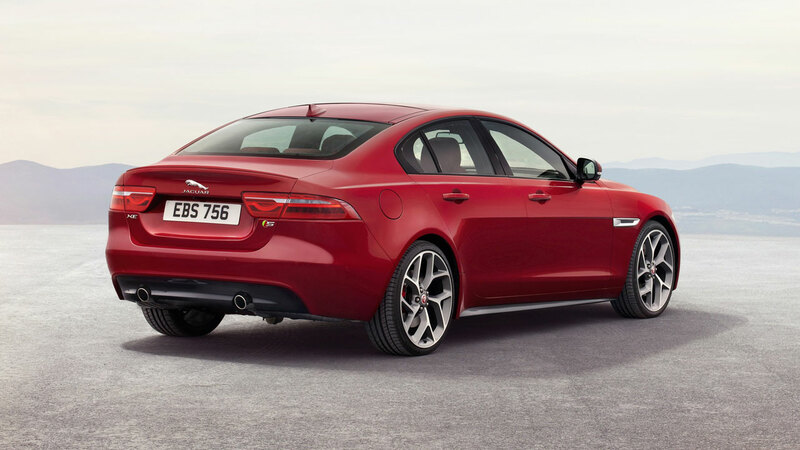 Conventional multilink rear suspension couldn’t deliver Jaguar’s dynamics targets. The solution was Integral Link: a system usually found only in larger, more expensive vehicles and which delivers the ideal lateral and longitudinal stiffness values needed for the XE’s precise handling and supple ride. Aluminium has been used extensively, minimising weight. Electric power steering (EPAS) offers incredible tuning potential and greater energy efficiency than traditional hydraulic systems but Jaguar’s engineers have not considered the technology sufficiently mature – until now. Prototype development using larger vehicles convinced the dynamics team that the best EPAS technology could now deliver the advantages of fuel consumption reduction without any loss of feedback through the steering wheel. The XE is the first Jaguar to use EPAS. As well as reducing CO2 emissions by up to three per cent, the system offers the performance that Jaguar’s engineers demanded. The new XE’s light, stiff bodystructure has been engineered to meet the most demanding legislative and consumer crash test requirements worldwide. Complementing the outstanding levels of protection it offers is a suite of advanced driver assistance systems designed to help and support the driver, making every journey safer, more relaxing and even more enjoyable. The XE is the first car in the world to be equipped with All Surface Progress Control (ASPC). This all-new system, developed with the input of decades of Jaguar Land Rover experience in off-road traction systems, works like a low-speed cruise control. ASPC functions between 3.6km/h and 30km/h: by precisely controlling the brake system and the powertrain it delivers optimum traction in the most slippery conditions without skidding and without the driver using the pedals. Projecting high-contrast colour images onto the windscreen, the laser head-up display (HUD) technology provides the driver with information such as speed and navigation instructions with maximum clarity and minimum distraction. As well as superb image quality, the laser HUD is smaller and almost a third lighter than existing systems. Jaguar is one of the first manufacturers in the segment to use stereo camera technology. This state-of-the-art sensor is the ‘eyes’ of the XE’s autonomous emergency braking system, providing highly accurate measurements of speed and distance of objects ahead, and can initiate full braking to avoid or mitigate a collision. The stereo camera performs traffic sign recognition and lane departure warning functions too. The XE also offers systems such as adaptive cruise control, closing vehicle sensing, blind spot monitoring, semi-automated parallel and bay parking, and reverse traffic detection. 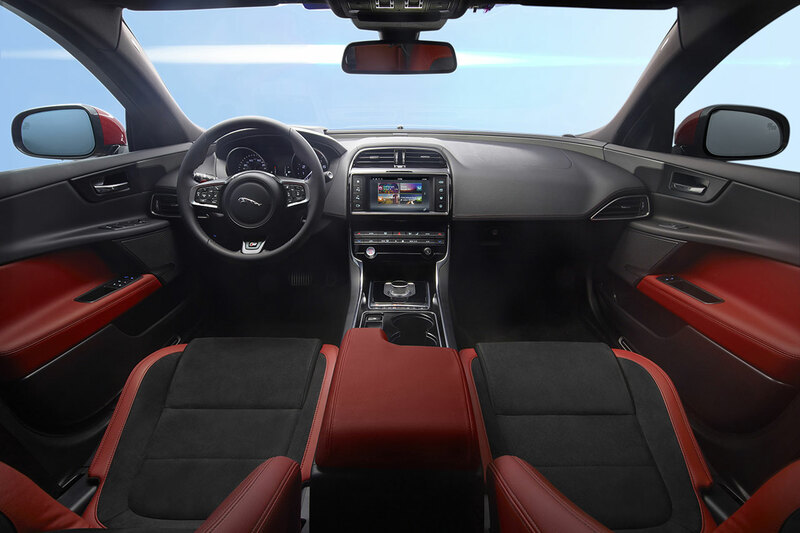 The XE’s all-new InControl infotainment system offers the latest technologies to connect car, driver and the outside world. At its heart is an eight-inch touchscreen featuring a clear, intuitive graphical interface and fast response times. Voice control using plain speech gives access to any level of the system, without navigating through menus, so drivers can keep their eyes on the road. InControl’s SD card-based navigation allows easy upgrades of map data. The system also supports Bluetooth, audio streaming and USB connectivity. Smartphones are changing the way people interact with the world around them so the new XE ensures that drivers always stay connected. The car functions as a Wi-Fi hotspot, enabling multiple devices to connect to the internet – the vehicle antenna provides the best possible signal. Jaguar InControl Remote functionality allows users of iOS and Android smartphones to connect to the car from wherever they are and control a range of vehicle functions. These include seven-day timed pre-setting of the XE’s climate control system, locking or unlocking the doors, or starting the engine. Jaguar InControl Apps allows users to seamlessly access smartphone apps through the vehicle’s touchscreen. For drivers who just want to sit back and enjoy the music, the new XE brings Meridian audio technology to the segment for the first time. These superb systems are the latest product of the long-standing partnership between Jaguar and British audio experts Meridian and were developed specifically for the new XE. Unique algorithms guarantee the best possible sound reproduction and tailor the experience to the interior’s acoustics. The new XE is powered by a range of four- and six-cylinder all-aluminium petrol and diesel engines offering an impressive blend of performance, refinement and fuel efficiency with a breadth of capability. For customers demanding ultimate performance and an exhilarating engine note from idle right up to the redline there’s the XE S, which shares its supercharged 3.0-litre V6 with the acclaimed F-TYPE. Spray-guided direct injection and fully variable valve timing optimise power and torque throughout the rev range. The 90° cylinder bank angle provides space for the twin-vortex Roots-type supercharger, a balancer shaft ensures smooth running. Developing 340PS/450Nm, the V6 provides the XE S with exceptional acceleration and performance: 0-60mph takes just 4.9 seconds, and top speed is electronically-limited to 155mph. Jaguar is launching the XE with a new family of world-class engines – Ingenium. This advanced in-house modular design began from a clean sheet and is manufactured at Jaguar Land Rover’s new £500 million UK Engine Manufacturing Centre. Proven over 2 million miles of real-world testing, Ingenium is the cornerstone of Jaguar’s future low-CO2 powertrain strategy and is engineered to deliver benchmark fuel efficiency, refinement and performance. It will also meet the most stringent exhaust emissions legislation worldwide. The first Ingenium engines to come off the line are 2.0-litre four-cylinder diesels. Clean combustion, variable exhaust valve timing and sophisticated exhaust gas aftertreatment ensure Euro 6 compliance and take the XE’s CO2 emissions as low as 99g/km in the case of the 163PS/380Nm variant. More powerful versions will be available too, combining exceptional fuel economy and even greater responsiveness. The 2.0-litre turbocharged direct injection petrol engines are powerful and refined and generate strong torque from low speeds, ensuring excellent launch performance and mid-range response. Two ratings will be available in the XE, and both will be offered with a lighter version of the ZF 8HP automatic used in the rest of the Jaguar range: this benchmark eight-speed transmission is controlled using Jaguar’s unique rotary shift selector. Ingenium diesels will also be available with a highly efficient six-speed manual – low viscosity oil and pseudo dry-sump lubrication cut parasitic losses. All of the XE’s transmissions are characterised by exceptionally smooth, quiet shifts. The new XE is not only the most fuel efficient Jaguar ever made, it’s also one of the most cost-efficient cars in its class. With CO2 emissions as low as 99g/km, the XE attracts low levels of vehicle taxation in many countries – and is even exempt in others. Jaguar Land Rover is on track to meet its 25 per cent reduction in fleet average tailpipe CO2 emissions – and the new XE is an integral part of this strategy – but the focus on sustainability goes much further. Riveting and bonding the XE’s lightweight bodystructure consumes less energy than traditional spot welding. And the use of recycled aluminium – in particular the new RC 5754 grade – reduces demand for primary aluminium, saving even more energy. The XE also contains 46kg of recycled plastics and renewable materials, reducing its environmental impact still further. As well as exceptional fuel efficiency the XE’s Ingenium diesel engines also achieve a remarkable 21,000 miles or two years between services. From the very beginning, key components were designed to be easily accessible to minimise scheduled maintenance and repair costs. 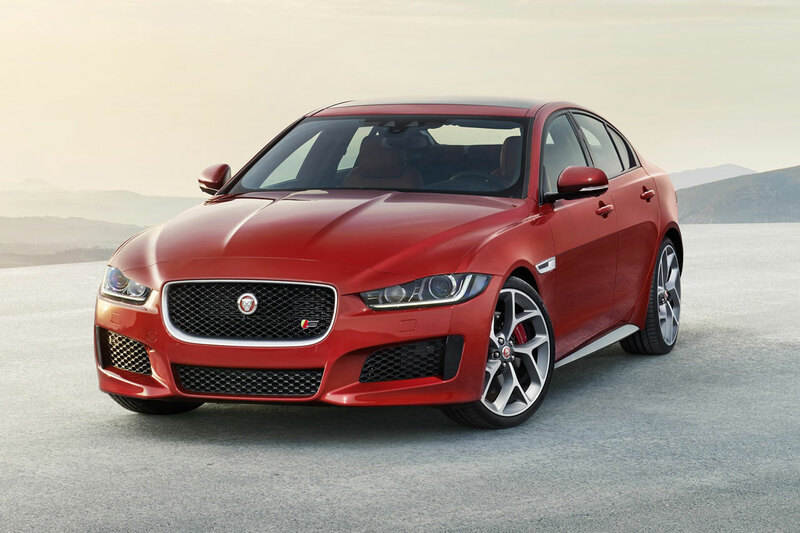 This helps the XE to be awarded highly competitive insurance group ratings.